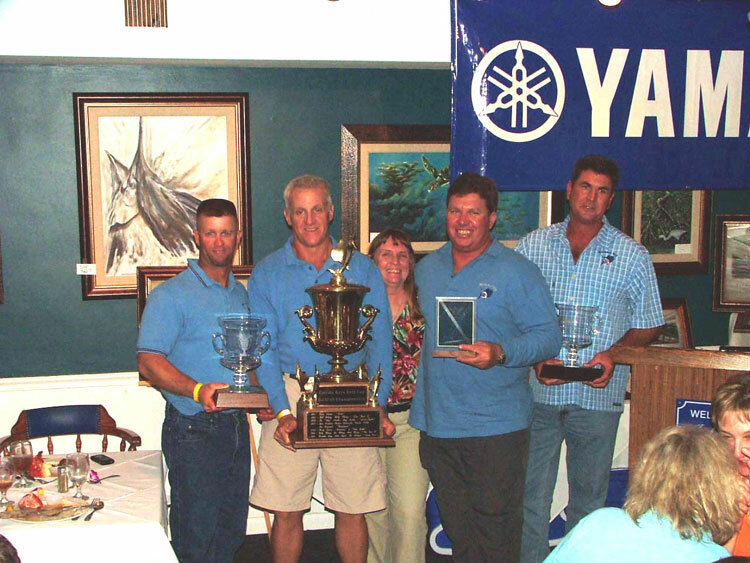 A field of 17 teams of elite Sail fisherman competed in the 2008 Florida Keys Gold Cup Sailfish Championship. 64 Anglers all attempted to win the coveted championship ring. In the end Rick Arnold, from Palmetto Bay Florida, was the winner of the highly contested prize with a total of 11 releases over the course of the three tournament event. He was fishing aboard the No Mercy with Captain Steve Cunningham and Albert Castro. 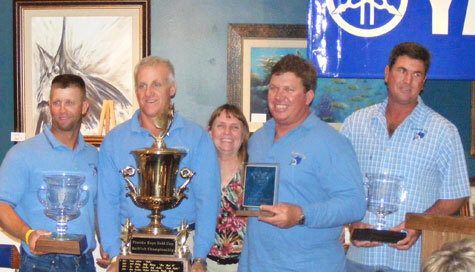 Team Wound Up released 24 fish to take top honors in the trilogy challenge and is the 2008 Grand Champion team. 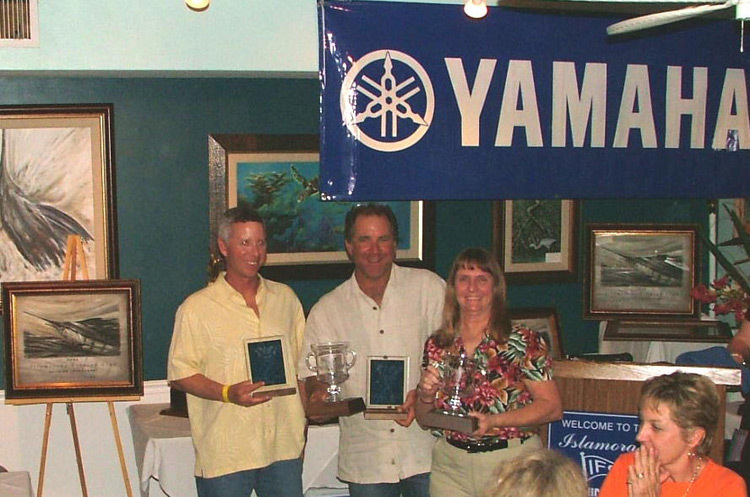 Aboard Wound Up were anglers Warren Sands, Janice Sands, Roy Huff and Brett Dudas Captained by John Dudas. The team released 7 fish in the Islamorada Sailfish Tournament. During the second leg at the Cheeca Lodge Presidential Tournament they released 11 fish and the final leg, the Islamorada Fishing Clubs Sailfish Tournament, the team held on to their lead with 2 releases. 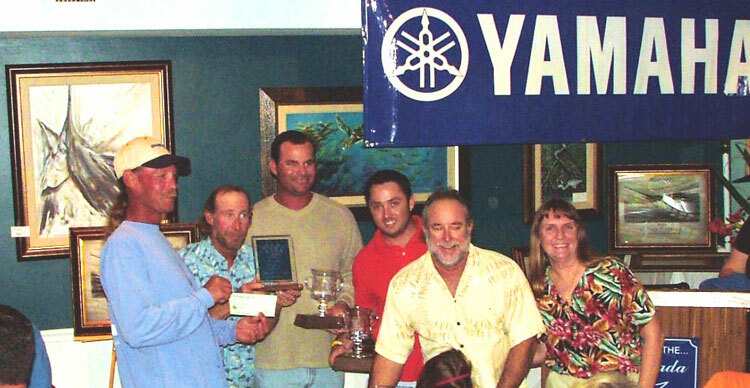 The Wound Up team will have their names engraved on the perpetual trophy that is displayed at the Islamorada Fishing Club. The No Mercy found themselves in second after the series with a team total of 20 Sailfish releases. Third Place was taken by Kalex with Captain Alex Adler at the helm. 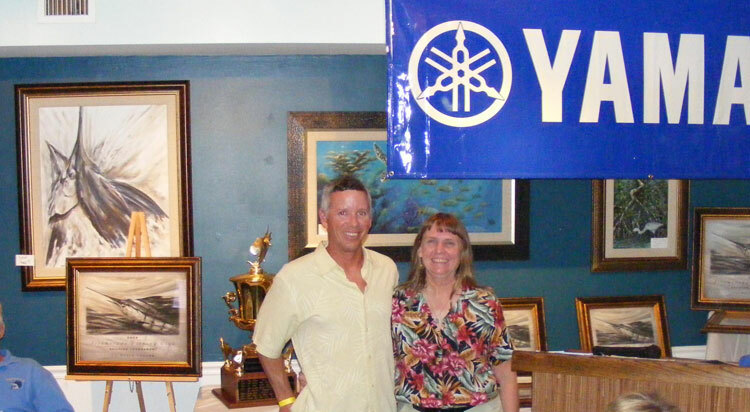 They released a total of 19 fish in the combination of the Islamorada Sailfish Tournament, Cheeca Lodge Presidential Sailfish Tournament, and The Islamorada Fishing Club 2008 Sailfish Tournament. This year's gold cup's teams released a series total of 177 fish.